29-year-old Redding averaged 8.8 points, 2.6 rebounds and 3.7 assists in 17 7DAYS EuroCup games last season, helping Bayern reach the playoffs and become one of only two teams to finish the Top 16 undefeated. He started his career with InterCollege Etha Engomis, to which he helped win the Cypriot double – league and cup titles – in 2011. Redding has also played for Walter Tigers Tuebingen and ALBA Berlin of Germany, as well as for Darussafaka Istanbul of Turkey. 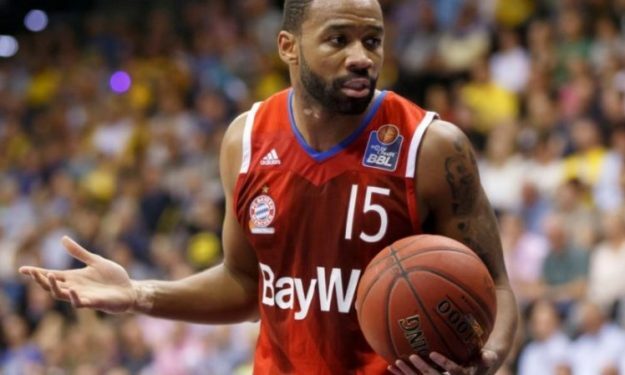 He helped ALBA win the German Cup and reach the EuroCup quarterfinals in 2014. In two EuroCup seasons with ALBA and Bayern, Redding has averaged 11 points, 3.8 rebounds and 3.7 assists in 37 career games.